The theory behind my underslung counterweight is quite simple to understand. It's "underslung" such that its main mass has lower centre of gravity as compared to the stock circular counterweight. You would notice in my unique design, not only that the main mass is lowered below the pivot, but in line with cartridge which improves tracking. This in turn brings about much "unexpected" sonic improvement to your TT. You would be surprised to see how this underslung counterweight works wonder in your system! So far everyone with this upgrade is happy with the result. I received the underslung counterweight today and was very eager to try it out. Despite reading what other customers had written I wasn’t expecting too much. 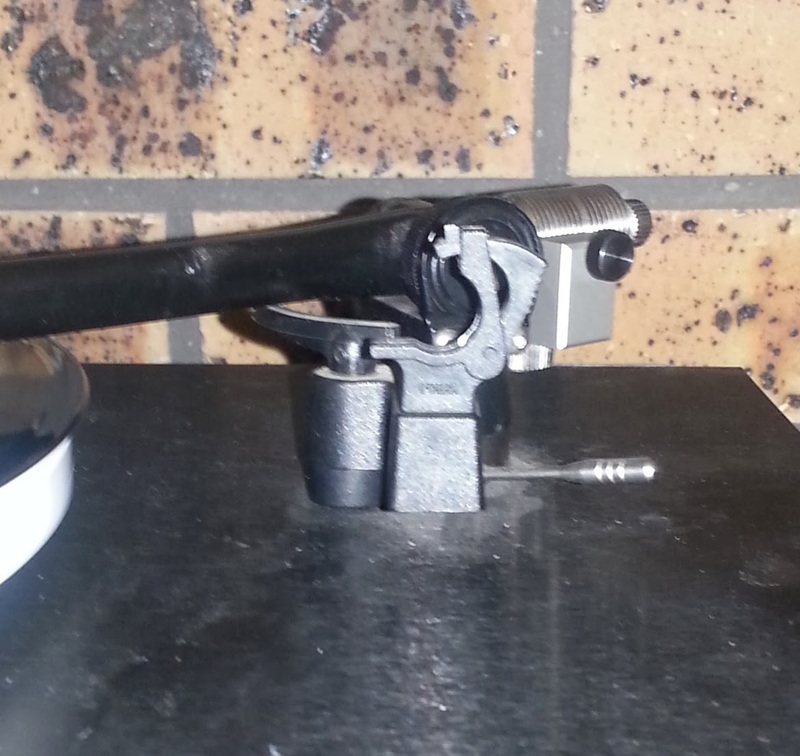 It was easy to install on my RB300 tonearm of my Rega Planar 3 and then it was onto some listening. First impression was there is more bass and it has more definition which is true right up to the high frequencies. Further listening made it obvious the soundstage was wider and deeper and more precise placement of instruments and vocals. Electric guitars have more snarl and snap and sound more like guitars! To sum up I have installed a number of mods to my Planar 3 but this one takes top spot for the most dramatic improvement. Photos attached. Might contact you again soon for the next upgrade!! "I love the fine adjustment screw which made it easy to adjust the cartridge to the correct VTF." 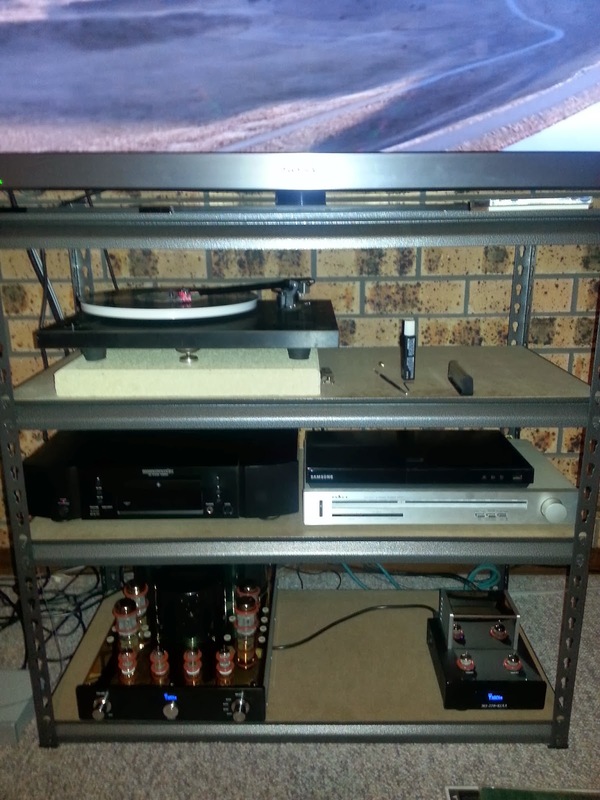 Richard's second upgrade : " .. Everything I have played has never sounded so good.."
I have my new amplifier and I can say my system is sounding better than it ever has. It is hard to write this because it’s difficult to isolate the effect of your upgrades. I do want to thank you for the instructions which were easy to follow, I’m not a technical person but even I could do them by closely following the instructions. My first upgrade was the underslung counterweight which made a big difference to the music and seemed to let through more of the music to the speakers. Suddenly some LPs I had which were so dense they sounded like one homogenised sound began to separate and sounds like a unison of different instruments. With the second set of upgrades – the upper brace, the aluminium sub platter and the silicon belt it’s like those instruments have been pulled forward from the speakers and they have more definition. Saxophones sound more breathy, guitars sounds more guitar and drums have more snap and impact. My taste in music varies from rock, alternative to jazz and world music and everything I have played has never sounded so good. 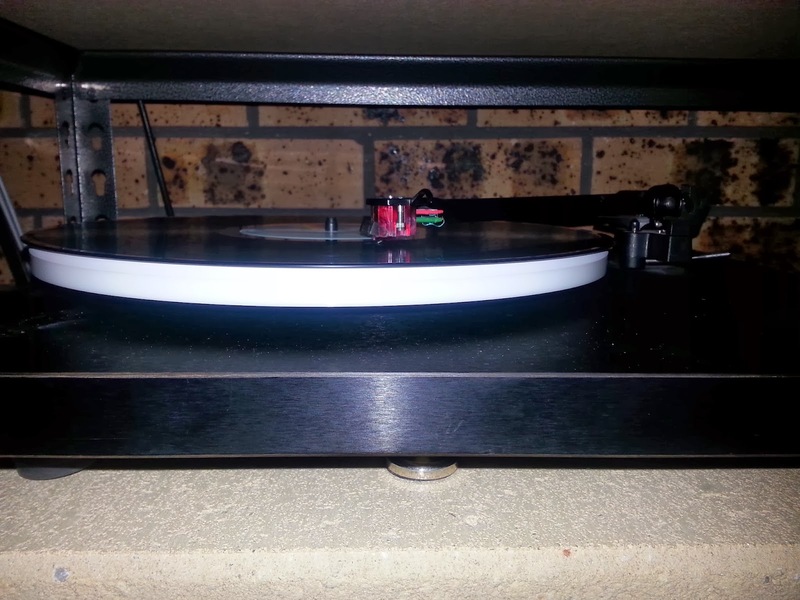 Before I came across your website I had upgraded the motor to the Rega made external PSU and had the Incognito rewiring kit installed which both made a difference but your upgrades take the performance of the Rega to a whole new level. It is like having a new and much improved turntable. I thank you for developing these upgrades which have allowed me to get more enjoyment out of listening to my LP collection. It's interesting that every now and then there will be someone who requests for something not in my list of accessories. In the way, I am "being pushed" to continue tweaking all the time! Being a retiree who is doing all this mainly as a hobby, I do enjoy this path of tweaking and hope to update you with more new ideas from time to time. Recently, an enthusiast who had got my adjustable acrylic platform was wondering if I could supply him adjustable aluminium isolation feet for his second TT. Adjustable aluminium isolation feet? Sounds music to your ears? 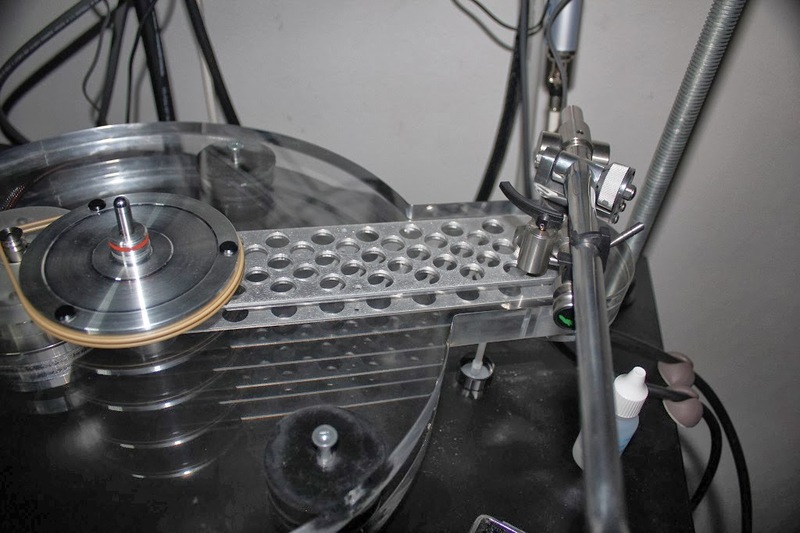 It is a very well-known fact that for turntable, the board/platter should be as level as possible in order to get the best performance out of it. 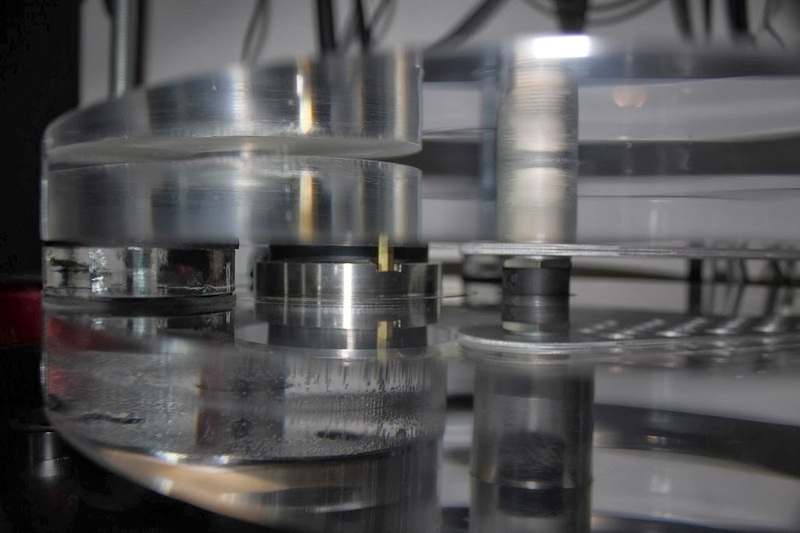 If it's not level, not only we can't get optimal sound quality, there's possibility of premature bearing hub wear. Though turntables may be very well made level in the factory, the floors/walls or platforms/shelves on which our turntables sit may not be "perfectly" level. So there's a "valid reason" for adjustable feet and I have decided to add this item to my list. Adjust the feet a little higher you could even put the TTPSU just below the plinth. (Another convenient way to manage space.) Note: to prevent EMI interference the 24V AC step-down transformer(wall-wart) should be placed as far away from the turntable/cartridge and phono leads as possible to avoid hum and noise. 1. Remove the rubber feet. 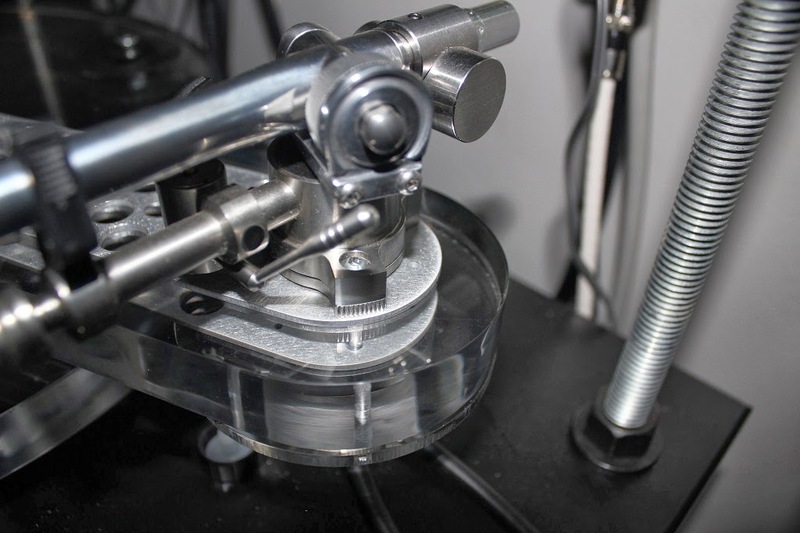 Fix the steel bolt with circular lock nut to the existing screw hole of the rubber feet. 2. Press fit the rubber feet onto the aluminium feet first. 3. Screw the feet assembly onto the steel bolt on the plinth. 4. Now you can adjust all the feet and lock the aluminium feet firmly in place once it's levelled! You can tweak the feet further by filling the rubber feet with sand, blu-tack or plasticine - have more fun tweaking!! Got my package today, thanks! I’m very impressed with the quality of the feet. I have a set now that combine aluminum and soft rubber balls but the leveling feature is what I really wanted. I’ve also wanted to place my TT PSU under the table so these look perfect! Thanks for the adjustable feet, as you will see all installed and very good. Very prompt service! I received my second order from you today and must say I am very impressed with the quality of your products. 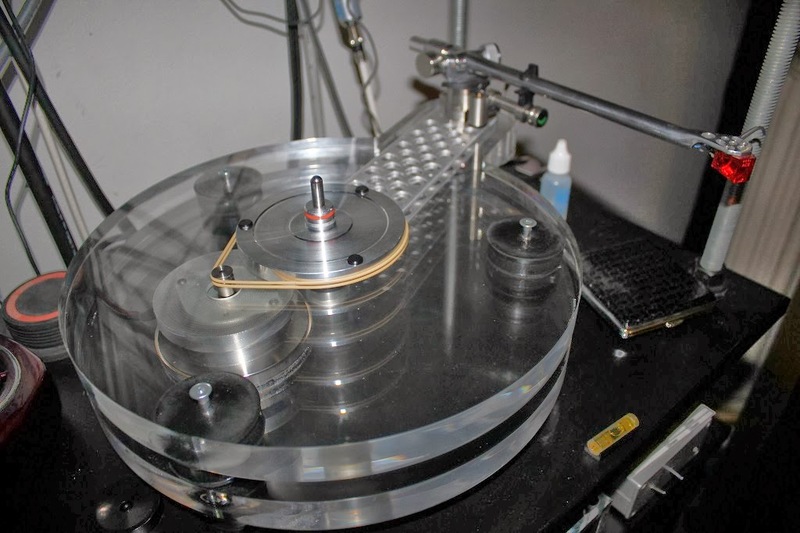 They are meticulously machined and are much better than Rega's own and better than other Rega aftermarket parts. Thank you!!! Have a very happy holiday season and thank you again for the great parts and service you provide! I have received the feet and they fit well. Thank you very much. Roger Clarke from Barbados has a heavily modded Planar 3 TT now. Upgrading in stages to enjoy the benefit of every mod, Roger is sharing with you his experience in his upgrading path here. He has so far added stainless steel pulley with silicone belt, aluminium sub-platter, underslung counterweight, motor isolation base, aluminium feet, rubber cork mat and record clamp. Here are his pictures and feedback. Enjoy! Let me take the opportunity and say thank you very much for making such good and effective accessories for the Rega Planar 3 TT. There is really nothing more I can add or say that has not already been said about how marvelous the Planar 3 sounds with your mods. I couldn't believe the sound when I first tried the under slung weight. I just sat up in disbelief. I think that upgrade was even more effective than anything else I had tried up to that point. With the addition of the isolation base, I got rid of the wow and flutter of the belt suspended motor and gained even better PRAT if that makes any sense. 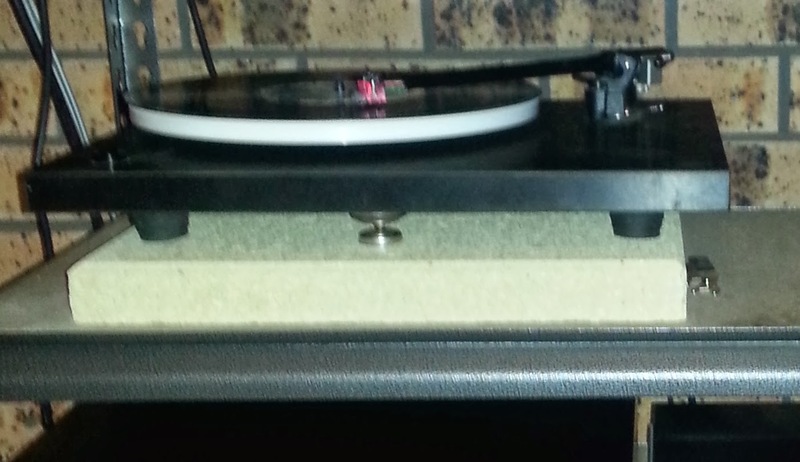 My records sound better balanced and refined in the high frequencies. All I can add is that you are absolutely right about it sounding better than the VPI Scout I had mention to you in earlier conversations and that is with the modest Ortofon OM20 cartridge. It has been a marvelous journey and I have learnt a lot from you and the other members who have shared their passion. Right now I am listening to "The Oliver Jones Trio/"Cookin' At Sweet Basil" as I type this. Next on the agenda is the Platter upgrade. I have an old Signet AM30s cartridge that is in need of a new stylus which I will replace the OM20 with until I make up my mind on what cartridge to go with. Once again, thank you for a very detail and refined musical sounding upgrade path. 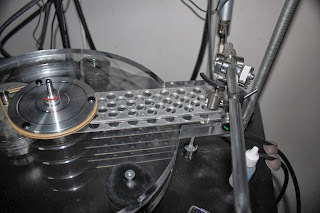 Tim Kennedy of British Columbia, a TT enthusiast who had used my stainless steel motor isolation base and dual pulley since 2011 came back recently to add the top and bottom alloy bracings to his unique double-decker acrylic plinth DIY turntable with RB1000 tonearm. If you are looking for new ideas to build your DIY turntables, this double-decker TT will definitely interest you. 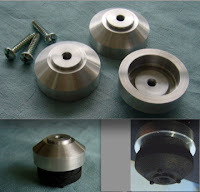 and dual pulley are incorporated in this DIY TT? Greetings Michael. I have received the braces and the spacer and have installed them. Everything worked out great. I was quite surprised at the sound i was getting after a listening session. It sounded very different to what i was used to. It took me awhile to put a finger on it but came to a conclusion that it wasn’t so much a different sound as a different tone, or lack there of one. Whatever was added to the table before was removed with the upgrades. I still had bass but no bloat and the higher frequency was more laid back(less brittle) but still there. I might have to order a smaller spacer from you at some point. Great quality Michael. Thanks. Merry Xmass to you. I added a couple pictures for you. One of them shows you base in between the layers. Its hard to make out but the first layer of your base is ressessed flush and the smaller part and pillars are above the layer. I still have to redo the feet for my final upgrade so when i take it apart i will take better pictures. I’ll be in touch. Thanks Tim for sharing with us your wonderful project!